Following right behind Skyfall (which itself was recently overtaken by the latest Twilight) in box office sales is Lincoln. Like Skyfall, Lincoln also received a fair amount of hype. Lincoln follows the titular 16th President of the United States of America, played by Daniel Day-Lewis, in his last days in office. The Civil War has been raging for four years. An end has yet to come in sight. President Lincoln decides the best way to end the war is to pass the 13th Amendment to the Constitution, which will abolish slavery once and for all, and it will in turn collapse the economy of the Confederacy. As he knows well, getting all of the House of Representatives to agree to it will not be easy, despite having an ally in Thaddeus Stevens (Tommy Lee Jones). Lincoln plays out very much like a political thriller. The movie shows what went on behind the scenes before the amendment was finally passed. While the nation was unanimous in its desire to end the war, many were unwilling to do so if it meant granting slaves full rights of citizenship; our recent election shows that racist sentiment that existed in many people in 1865 very much exists in many in 2012. As the movie plays out, Lincoln shows he isn’t above pulling questionable (possibly unconstitutional) moves in doing what he believes is for the greater good of the country. He is willing to buy votes. He is willing to carefully word things so, while not outright lying, the whole truth isn’t told to Congress. It is also apparent the war has not been easy on the President personally or on his family, particularly in the wake of the death of a son. 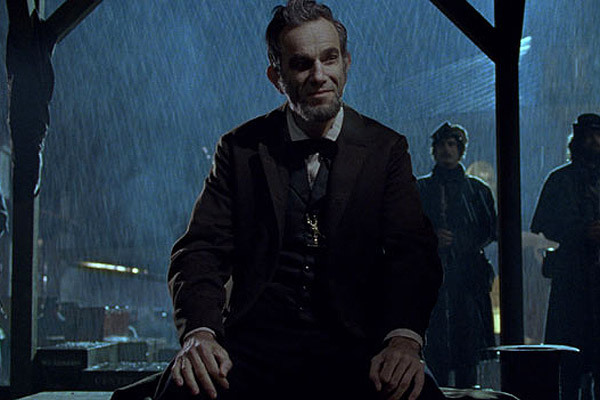 Lincoln featured absolutely terrific acting, particularly from Daniel Day-Lewis as the titular president. Day-Lewis presented an entertaining, yet dignified portrait of the President as he inches ever so close to his own breaking point. Tommy Lee Jones also gave an electrifying performance as Thaddeus Stevens, the most radical of Radical Republicans whose sole focus was the abolition of slavery. The dynamics within the US government, and how Lincoln played with said dynamics, was definitely the most interesting part of the movie. Many state representatives rejoiced at the possibility that the Confederacy were willing to negotiate a ceasefire, thus making abolition possibly unnecessary. Others sought the end of slavery, no matter what. Only Lincoln truly saw how they go hand-in-hand. That said, the plot moved at a pretty deliberate pace. I will admit I think the movie would have been fine had it not featured the entire subplot of son Robert (Joseph Gordon-Levitt) wishing to join the Union Army against the wishes of Mary Todd (Sally Field). Ultimately, I found myself not really caring so much about Lincoln’s personal life as the vote passing (despite knowing historically it did) was much more interesting in comparison. Robert’s subplot was used so little that I feel like it could have been dropped from the movie altogether. Also, as much as I like Sally Field, she was very seriously outacted by Daniel Day-Lewis in the many scenes they shared. Nonetheless, Lincoln was an ambitious, well-acted movie with an atmosphere very painstakingly put together so as to recreate America in 1865, and I would expect no less from Steven Spielberg, who directed Saving Private Ryan, which is probably my all time favorite historical fiction movie. Had the pacing been a hair faster, Lincoln would have pulled into The Pop Culture Historian’s Hall of Fame, which alas it did not.